Gold and silver closed lower Wednesday to snap multi-session winning streaks, but then climbed in after-hours dealings when minutes from the Fed’s last meeting were released. Gold for December delivery lost $4.90, or 0.4%, to settle at $1,288.90 an ounce on the Comex division of the New York Mercantile Exchange. 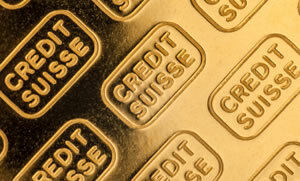 The yellow metal was near $1,293 an ounce in electronic trading after the FOMC minutes were released. "The Fed minutes confirmed what several Fed officials had been hinting at since the meeting — that the consensus support for a December rate hike isn’t strong or completely committed," MarketWatch quoted Brien Lundin, editor of Gold Newsletter, told MarketWatch. "This added bit of doubt as to whether there’ll be a December hike and helped gold reverse." Gold futures advanced 0.7% on Tuesday — finishing at their best level since Sept. 26, and gained 0.8% on Monday. Closing lower for the first time in five sessions, silver for December delivery fell 7.4 cents, or 0.4%, to $17.133 an ounce. Silver futures gained 1.4% on Tuesday, ending at their highest price since Sept. 20, and rose 1.1% in starting the week on Monday. The precious metal was last at $17.21 an ounce in after-hours trade. January platinum shed $3.30, or 0.4%, to $933.20 an ounce, ranging from $930.50 to $938.10. Palladium for December delivery jumped $25.30, or 2.7%, to $958.95 an ounce, trading between $933.25 and $959.80. Gold declined $2.15, or 0.2%, to 1,289.25 an ounce. Silver added 3 cents, or 0.2%, to $17.15 an ounce. United States Mint bullion sales rose by 1,000 ounces in American Gold Eagles. Below is a sales breakdown of U.S. bullion products with columns listing the number of coins sold during varying periods. Products with an asterisk (*) are no longer available. Right now, on Thursday October 12, palladium is trading at $35 above platinum! The new U.S. Mint bullion version $25 1-ounce Palladium American Eagle coins are holding their value well, especially those graded MS-70 with the special Prooflike designation! BTW, we published a quick video of a Palladium Eagle at https://youtu.be/syiXncpiPIg.